Physicians can now offer a weight-loss strategy that offers both medical and financial support for their patients who want to lose weight. The consumer now has an option for a carefully monitored weight loss and nutritional program that is reimbursed by insurance through their Physical Therapy benefits. The Physical Therapists at CPRx, Inc will evaluate and monitor each individual client after determining all relevant health risks and taking baseline measures. With a Physical Therapy referral, CPRx will establish individualized and specific exercise programs and goals. There will be regular monitoring of baseline measures. There will be general information on nutrition conducted by a certified clinical dietitian. 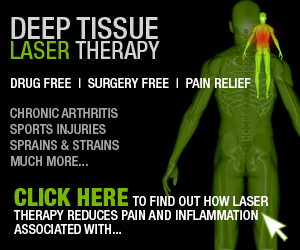 PT’s are experts on exercise, anatomy, physiology, posture, and movement. 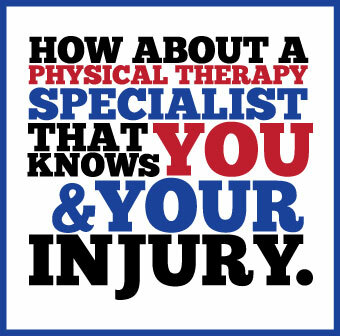 PT’s can understand and obtain a thorough medical and injury history. PT’s have the knowledge and experience to monitor and progress clients appropriately and individually. PT’s use evidence in the literature and have norm-referenced functional testing. PT’s have a background in psychology. US obesity prevalence is 27% and growing. No state met the Healthy People 2010 obesity target of 15%. Among all insurance payers, obese people had medical costs $1429 higher than people of normal weight (total $147 billion in 2008). 70% of US adults do not engage in regular physical activity (3-5 days/week, at least 20 min/day). By 2030, health experts predict that the number of people with diabetes will increase to >30 million. The #2 cause of preventable death is obesity at 400,000 per year. (#1 is smoking at 435,000 per year). How can this program help? Multiple studies show that increased physical activity can decrease the risk for mortality. Low cardiorespiratory fitness is a strong and independent predictor of CVD. Low cardiorespiratory fitness and CVD cause mortality and are highly correlated with diabetes risk factors. Multiple studies support that increasing physical activity alone can decrease the incidence of type 2 diabetes. Under the new health care law, as of 2011, beneficiaries can get annual wellness check-ups at no charge to patient. Their physician can then refer them to Physical Therapy, where Physical Therapists can utilize the Preventive Medicine Services CPT codes. Included in these codes are: obesity, metabolic problems/syndromes, high BMI, difficulty walking, muscle weakness, and lack of coordination. With a Physician’s referral, Physical Therapists at CPRx can then conduct a thorough evaluation and begin a progressive weight loss program covered under a patients Physical Therapy benefits. The Physical Therapists at CPRx will provide the referring physician with the data collected during the initial evaluation, which will include: BMI, waist circumference, blood pressure, VO2 max, diabetes risk test, 6 minute walk test, and 10 meter velocity test. Individualized program development based on each person’s health risks, goals, and initial base measurements. Education on proper activity prescription. Education on proper exercise body mechanics. Close monitoring of vital signs and symptoms. Nutritional counseling by a certified clinical dietitian. Regular journaling of nutritional intake and exercise type and duration. Positive encouragement by a well trained staff.